During our stay in August in Germany we were warmly welcomed by my sister-in-law Doris and her family. We got pampered and sought after like real royals. It was a holiday to remember. So I decided to make a Christmas table runner for Doris as a thank you. This one shall be in the mail by Wednesday. And my dear friend Irena wanted a “neutral” table runner for her daughter-in-law. One, that she can use all year around, with no Christmas motives. 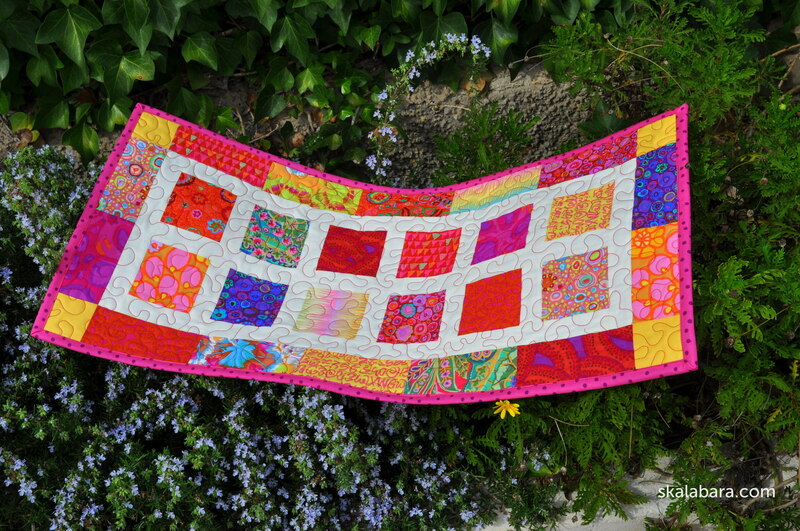 Once more I have used Kaffe Fassett fabrics. 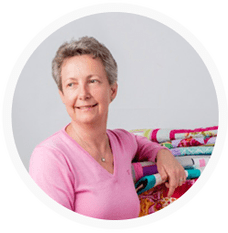 I have also written a short pattern just with material required, cutting and design – Funky Table Runner, a pdf file. 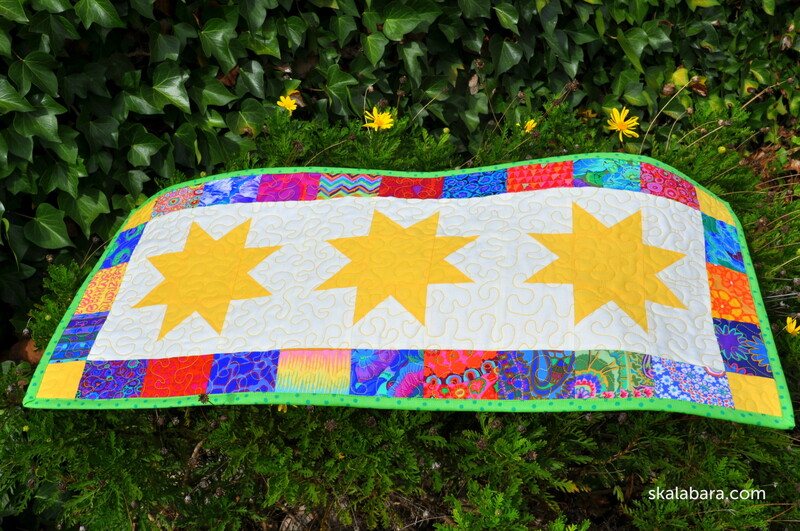 This entry was posted in patchwork, patterns, small projects and tagged finished quilt, MINI pattern, table runner. Thanks! I just received the Zentangle book you mentioned in your post a few weeks ago. Can’t wait to start with drawings. Thanks for sharing your Zentangle experience. Thanks for your comment. And good luck with the linking party from Julie!